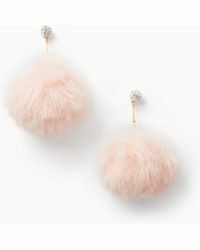 Founded in the 90s, Kate Spade's eponymous luxury fashion label is known for its refined and elegant pieces that are given a modern and playful update with the designer's signature use of graphic prints and vivid hues. 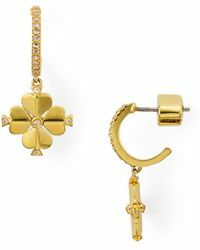 Her jewellery typifies this mix of classic and contemporary perfectly. 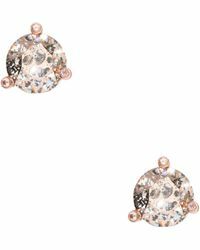 Retro chandelier earrings are bedecked in oversized crystals and slogan-bearing stud earrings echo Spade's tongue-in-cheek sense of humor, while delicate drop earrings and crystal cluster studs offer a more timeless style. 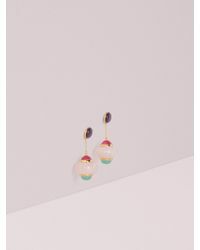 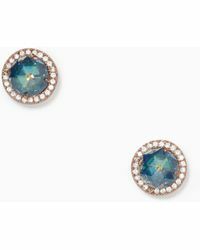 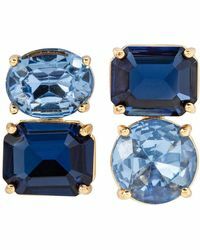 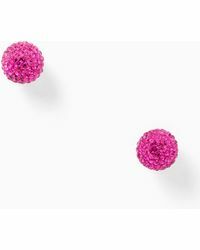 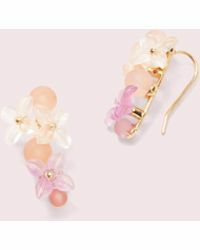 Whether worn with formal wear or statement pieces to set off an outfit, these earrings can be worn to fit any occasion.